You can’t really say when ADUs were “invented,” since having a second small dwelling on a piece of property seems to be an idea as old and natural as the idea of housing itself. 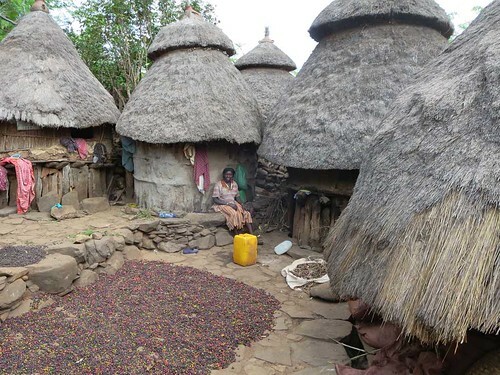 Just look at the carriage-house apartments you see in big old houses in Seattle, at farm properties where “new” and “old” structures house different generations or branches of the family, and at family compounds all over Africa and Asia. 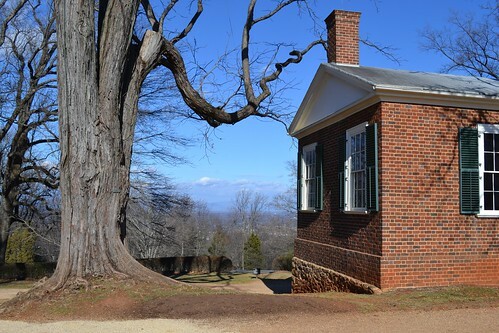 If that’s too exotic or déclassé for you, look at Thomas Jefferson’s Monticello, where, as Lester Walker has documented in his book about tiny houses, a small, clever house was Jefferson’s residence as the big place was being built. This house later became part of one of Monticello’s extended wings. So ADUs are as old as the hills, and as American as apple pie. 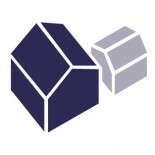 This concept was supported by an opinion poll showing that most aging people wanted to stay in their homes as they aged. AARP supported ADUs with the writing of a model code. How has that turned out? Is there evidence that ADUs are providing retirement residences and/or financial security for seniors? The answer to this one is a little complicated. To sum up, the statistics currently show that ADUs aren’t special when it comes to supporting or housing seniors. However, there are strong suggestions this will change in the future. It all relates to how ADUs are developed and owned. As you hopefully know, an ADU is, by definition, not a legally separate asset. It is not like a condo or an RV that can be bought or sold on its own. Rather, the person who owns the property and the “main house” also owns the ADU. Because most ADUs in Portland have been created recently, at this point in time the homeowner that created the ADU is usually still the owner. Make sense so far? The shapes for the two groups are pretty similar, but there are some curious differences in the highest age classes. ADU owners are equally as likely as the typical Portland homeowner to be 55 or more: 47% of ADU owners are in that age class, vs. 44% for home in general, a difference that is not significant (see my research paper for statistical details). ADU owners are slightly less likely than the typical Portland homeowner to be 65 or more: 18% of ADU owners are in that age class, vs. 22% of Portland homeowners. Very few ADUs are owned by the most senior seniors, those 75+, as you might expect, because the oldest homeowners don’t tend to build ADUs. However, ADU owners are slightly more likely than general Portland homeowners to be 55-74 years old. In other words, ADUs are popular among those who are getting old, but who aren’t in the highest age categories (e.g. 75+) yet. Now, who is living in the ADUs these people have created? I made a similar comparison of the ages of ADU tenants to Portland tenants in general. Again, the age distribution of people living in ADUs is generally similar to those in all Portland rentals. The biggest difference is in the 25-34 age group, which is more common in ADUs than in general rentals. Looking at these numbers, it’s tempting to say that ADUs are just “more of the same,” housing that has no special qualities for older persons. Currently in Portland, ADUs don’t house older persons at greater rates than standard rentals, and they are not owned by older persons at higher rates than other kinds of properties. For two examples of this idea, on different ends of the cost spectrum, look at Jane Doe’s and Bruce Nelson’s projects. Moreover, families that have multiple generations living in one place with the help of an ADU generally seem to be really happy with it. said Dennis Martin in our profile of his project. These ideas are so common in personal anecdotes about ADUs (see the dozens of examples in our case studies) that I think the current shape of the ownership and tenant age distributions are an accident of timing. In particular, the shapes of those graphs are the result of two facts: a) it is typically middle-aged people who create ADUs; and b) only in the past 5 or 10 years has creating ADUs been a popular development option in Portland. ADUs might not be created very often by retired people, but certainly people who own ADUs will be able to use and own them as they retire. The comments in our case studies suggest that ADUs are a vital part of family plans for the older persons in their lives, and for their future selves. As a consequence, I think the ADU age-ownership distribution will look quite different ten years from now. So don’t worry, grandma — if there’s an ADU in the family, when the time comes it will be there for you. next week: How do ADUs support the community economically? This entry was posted on July 23, 2014 by Martin John Brown in Policy & Trends and tagged elder, elderly, featurepost, housing, older, policy, research, senior citizens, seniors.